Rear projection screens are designed to be used with rear projection presentations. 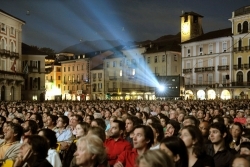 In rear projection, the image passes through the screen to the eyes of the viewer, rather than being reflected against the front of the screen. There are some definite advantages and disadvantages to using rear projection for image displays. One big advantage to rear projection screens is that the lights in the room can be on when images are projected, and viewers will still be able to see clearly. This can be useful in presentations, where people may want to take notes or engage with the speaker, which can be hard to do when the lights are off. We have worked together with the huge pharmaceutical company Aspen... working with them to design and develop a visualization solution which would deliver immediate benefits and increase top-line performance and profitability, and they supplied an 8-port bridge in one of the Johannesburg sites which will facilitate multi-site video conferencing for the group. And Aspen have opted for dual DNP rear projection screens in their Johannesburg and Durban offices. At Carnival City, near Johannesburg, the architects, together with us, designed the AV solution for Carnival City Casino, a concept that offers a whole new world of fantasy and escapism, putting South Africa on the map in terms of multi-entertainment. Throughout the casino, large rear projection screens show sports events, betting information plus output from a video jukebox. In the Salon Privé, guests can relax while watching video or a major sports event on the large rear projection screens. Rear projector screens that look like a piece of glass when not in use ... the screens come in flat sheets that can be shaped to produce unique projection media... great for retail or trade show applications. Everyone has their preferences when it comes to televisions, monitors, screens and display boards. Rear projection screens, often also referred to as back projection screens are amongst the most popular options. Each screen on the market comes with its own set of advantages and disadvantages. Back projection screen benefits are certainly to be considered when looking for the right screen for you. And with the help of the professionals in the field, you can find one that meets with your needs, flawlessly. These screens offer enhanced image quality as well as impressive image brightness. Due to the projection coming from the rear, there is no need to worry about shadows being cast on the image due to presenters and viewers. Back projection screens are ideal for applications that require high brightness. When using this type of screen you can rest assured that cables and projection equipment will not get in the way as it will be hidden behind the screen. Most rear projection screens run noiselessly. You will find that back projection screens are most often made use of in cinemas, theatres, or displays and show stands where people are expected to be walking in front of the screen on a regular basis. 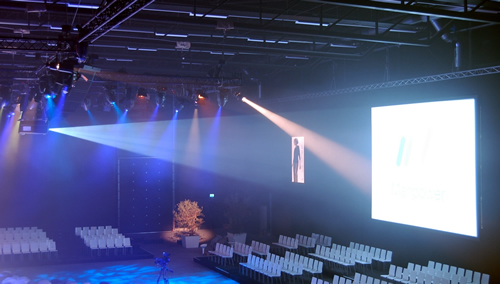 When seeking out a rear projection screen, take the time to chat to the professionals in the field to find out which options are best suited to your particular set up and of course your available budget. Choosing the right type and size screen for you and the intended application is absolutely essential. At Questek Advanced Technologies we focus a great deal of our attention on ensuring that we stock and present a wide range of the best rear projection screens available on the market. What’s more is that we will offer these screens to you at a cost effective rate. If you aren’t sure which screen to purchase, you can trust one of our friendly consultants to inform you of back projection screen benefits and assist you with choosing the right one for your home or business. Taking the time to chat to one our friendly and knowledgeable consultants at Questek Advanced Technologies is the best way to build up your knowledge on back projection screen benefits and advantages. Ensure that your home or business has the latest rear projection screen for effective imaging today. Call us... Our equipment serves to enhance any presentation for home theater or for boardrooms and auditoriums. Click here to view the Products!